The Eagle nebula now and in 2005. All small black hole based pillars did not move. 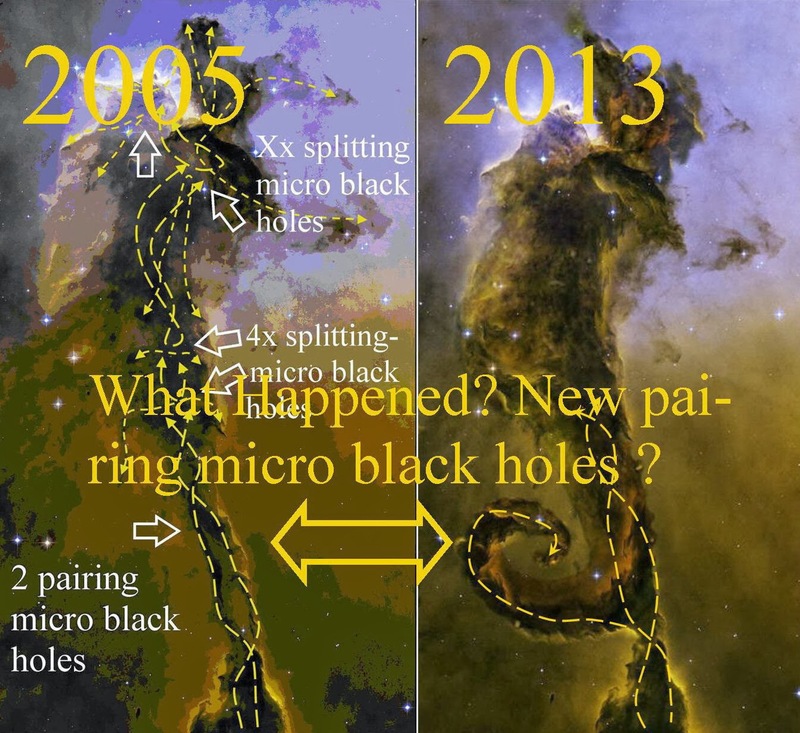 ONE huge system was created in short time!! Is this a hoax? easy to check? 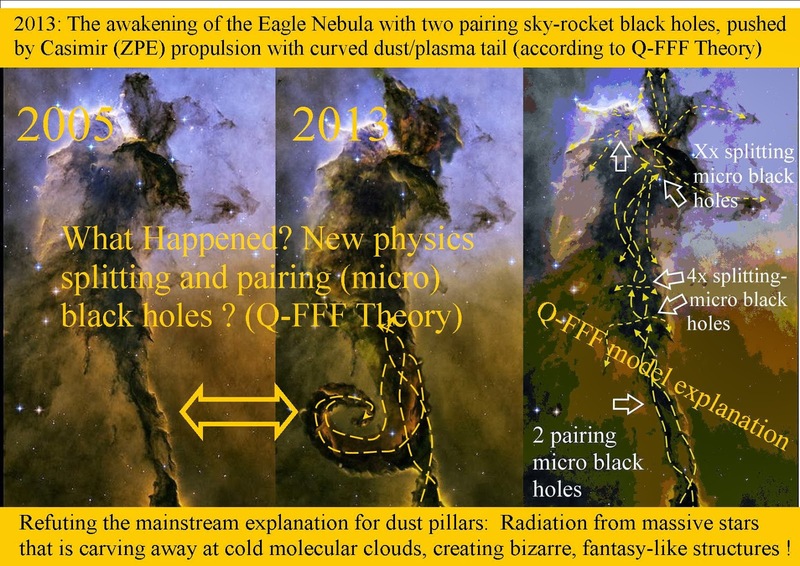 Refuting the mainstream explanation for dust pillars: Radiation from massive stars that is carving away at cold molecular clouds, creating bizarre, fantasy-like structures !